Below is the data of IOTA Charts and it is quite obvious that this welcoming mid-week trading has taken over the cryptocurrency market. 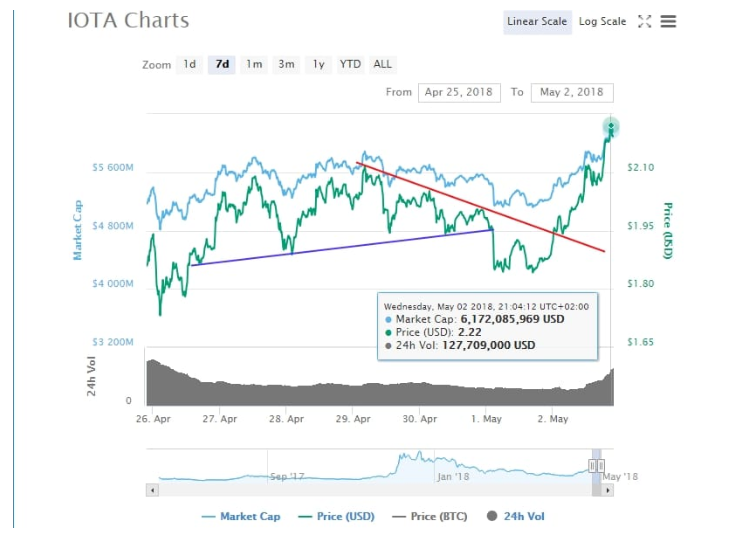 In the last 24-hours, one of the leading coins which is standing high above all other coins is IOTA as its price skyrocketed by 16.50 percent as shown with the green line. Needless to say, there have been different attempts by MIOTA/USD to over $2.10 or just above $2.00. However, they didn’t had success and ended on first day of May with quite a speedy dip on the market. Despite the speedy drop in price, it took a vertical climb above and cleared the important resistance of $2.00. This has opened new ways of more gain in the upcoming days which will definitely form a higher trading ground. 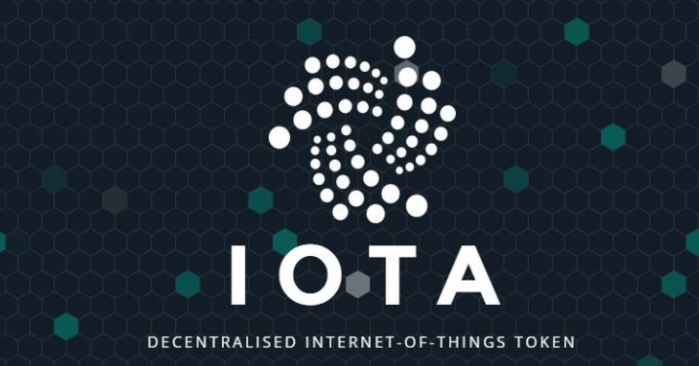 On Wednesday morning, IOTA Foundation, which is a Berlin-based company behind the whole IOTA technology announced the launch of IOTA ecosystem platform on their Twitter account. The aim of this new website is to encourage and stimulate any further development of the project. Miners won’t have to complete the transactions as this new network is designed in such a way that whenever a new transaction takes place, it gets confirmed by the next one which is present which in turn confirms two prior itself being requested.